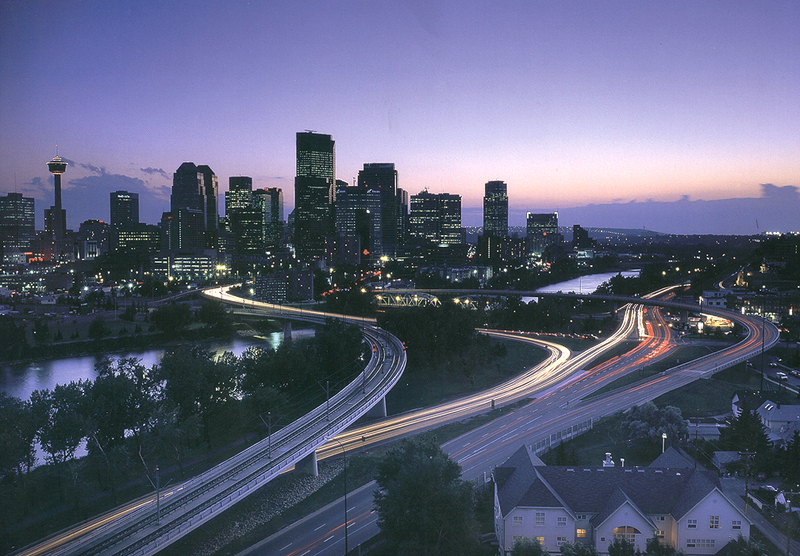 in the summer evening (9pm). 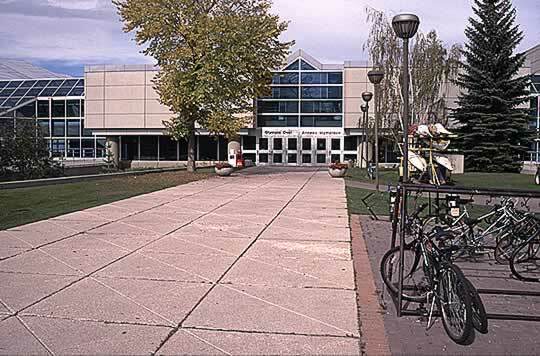 hall building is in the background. 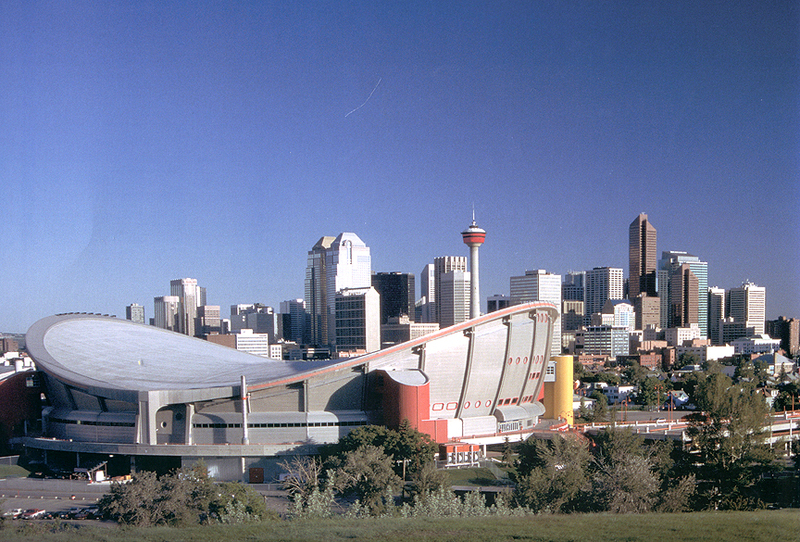 hockey club plays at this arena. 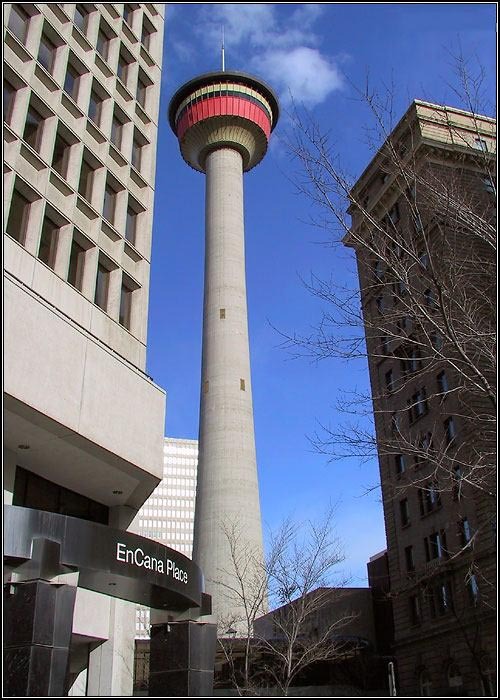 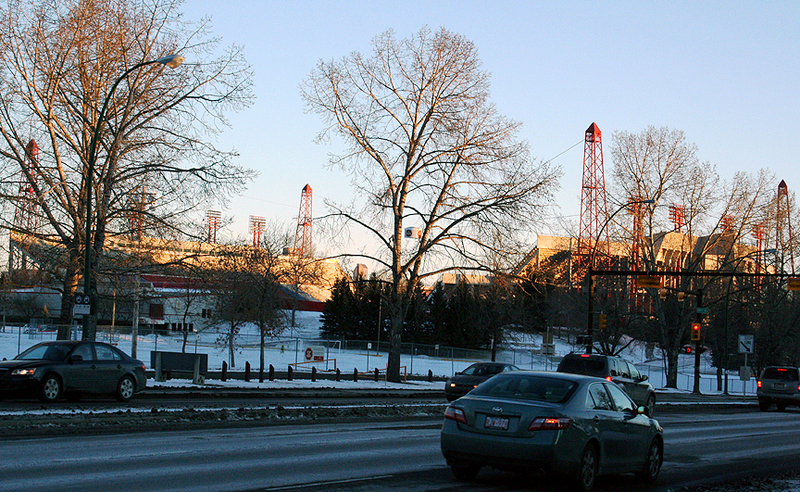 next to the Saddledome arena. 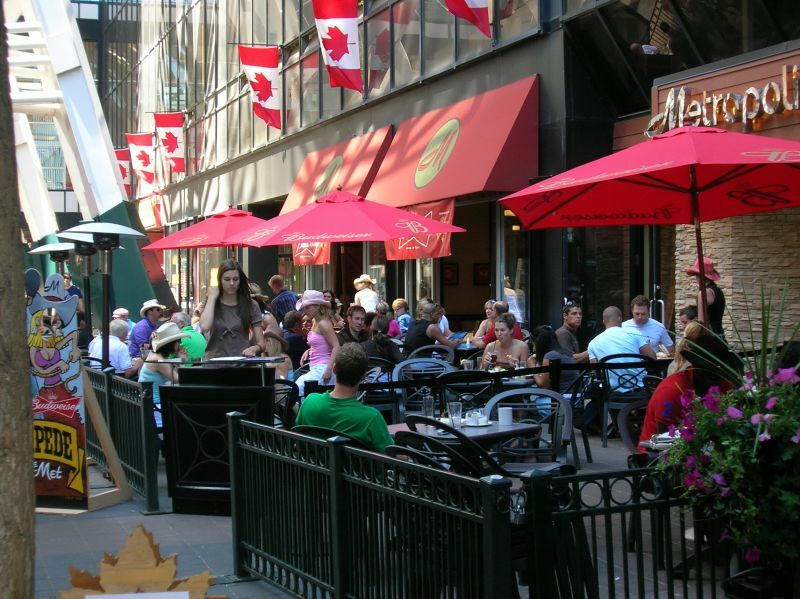 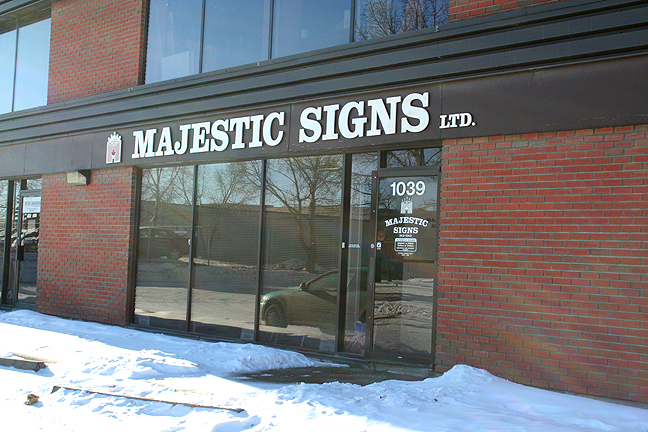 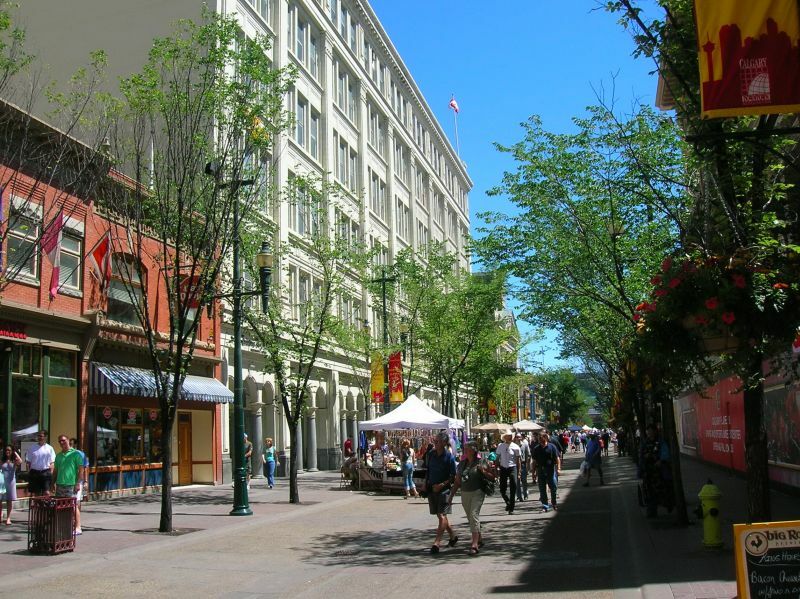 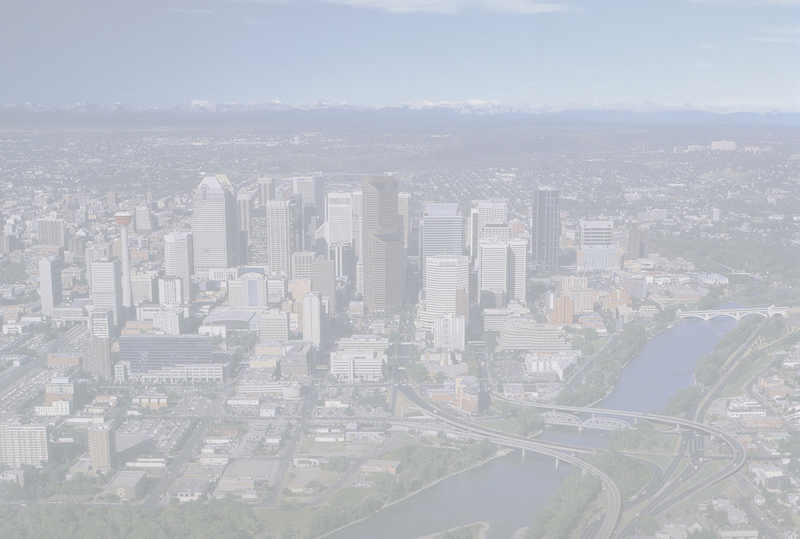 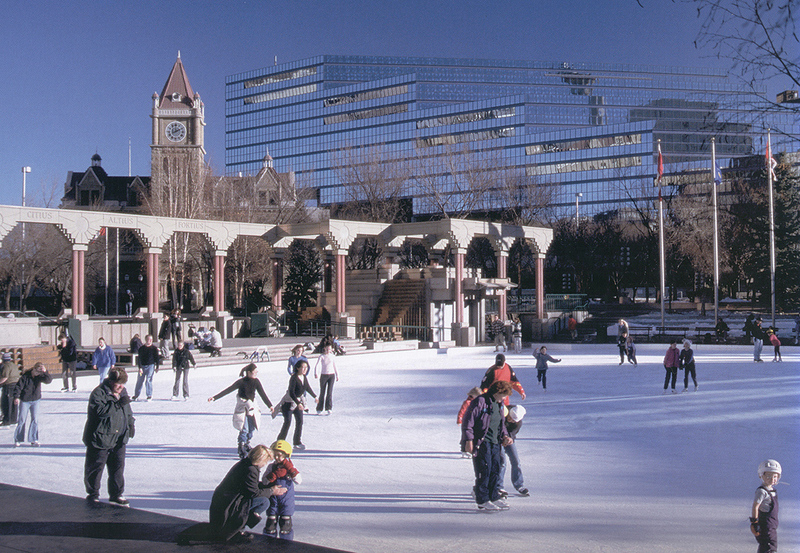 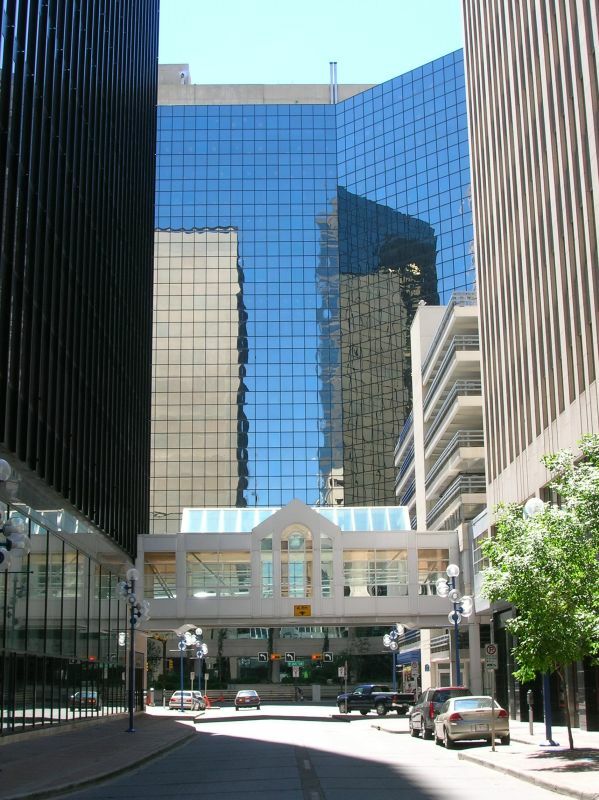 Calgary called Majestic Signs, Ltd.
and a host of outdoor musical events. 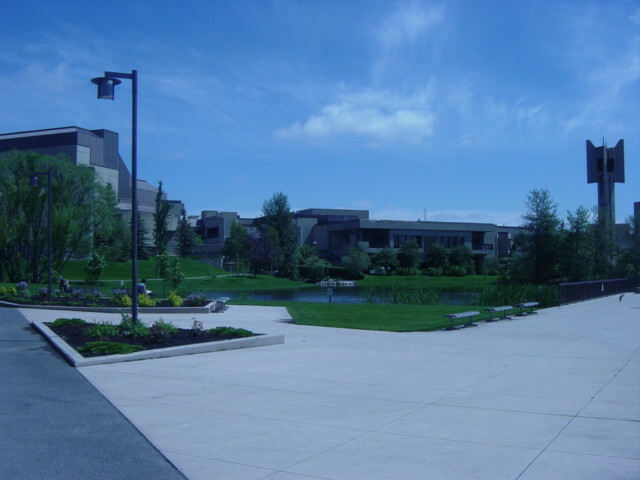 Student Center is on the lower right side. 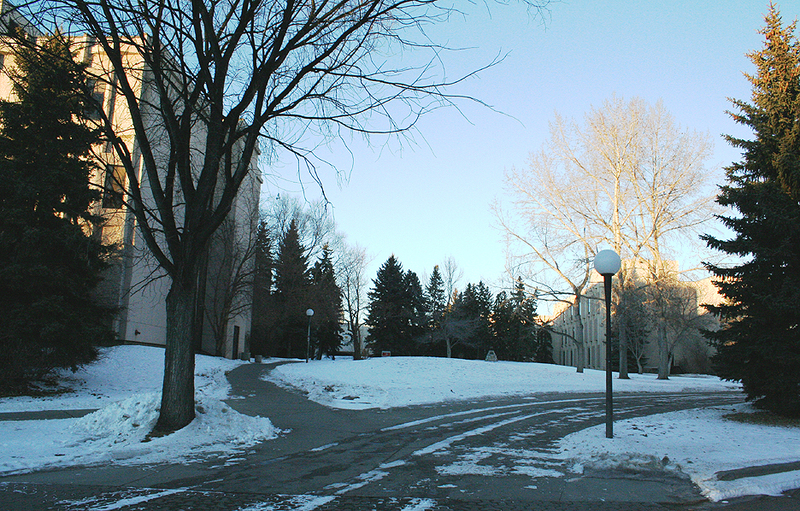 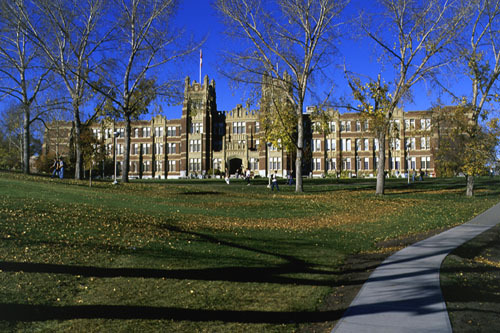 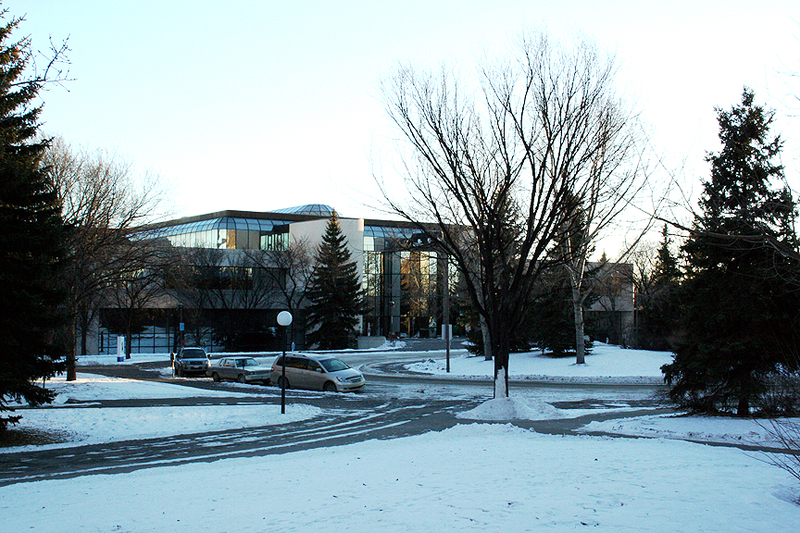 Again, looking East on the SAIT campus. 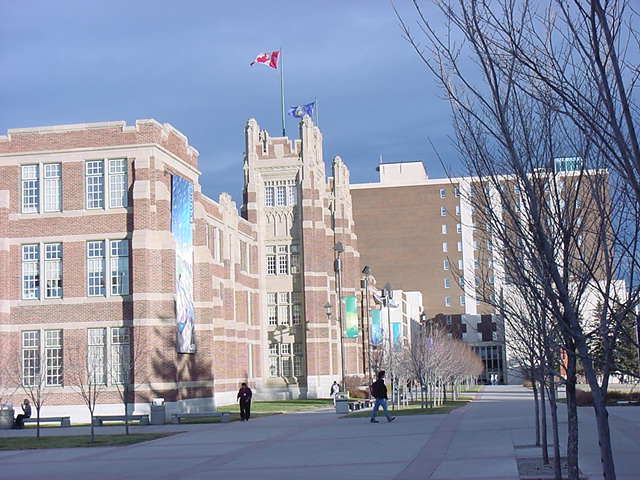 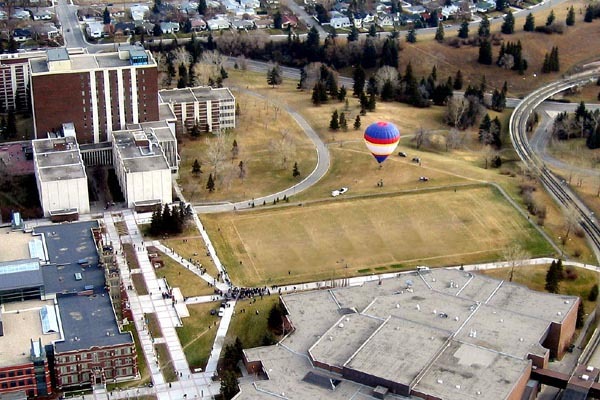 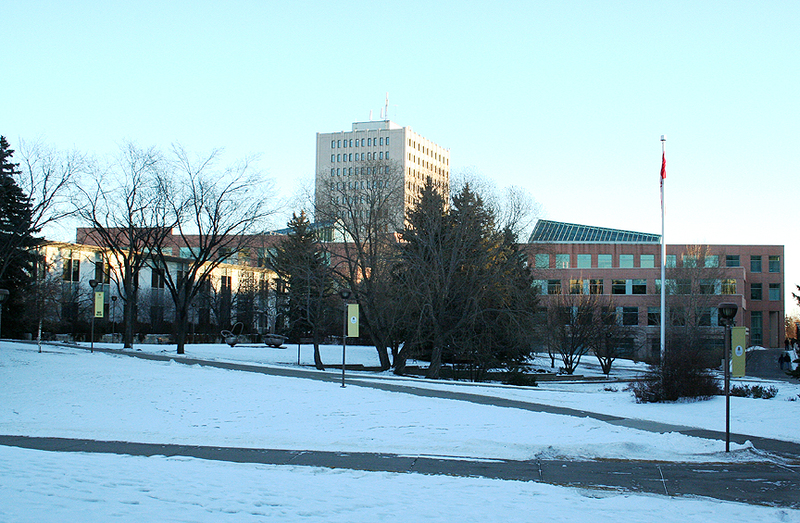 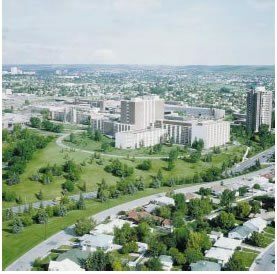 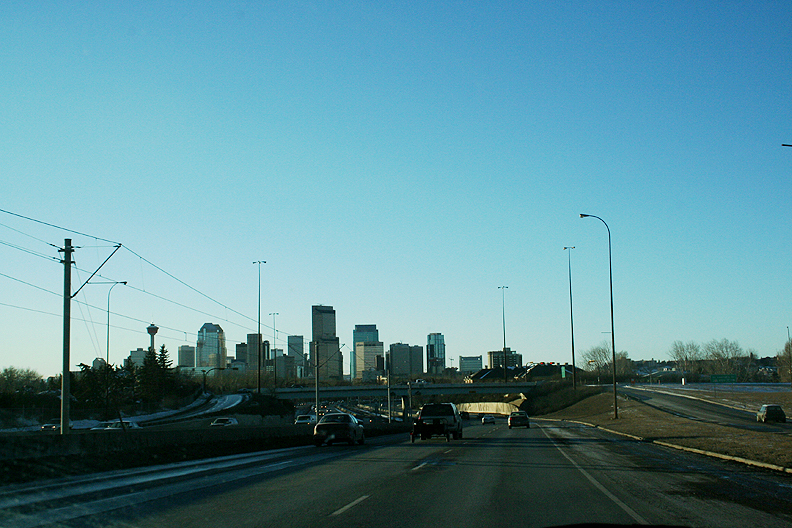 Distant view of the complete SAIT campus. 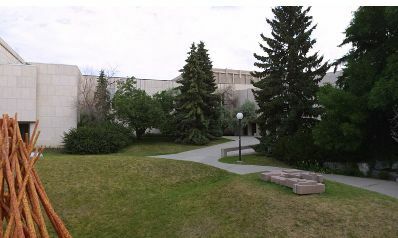 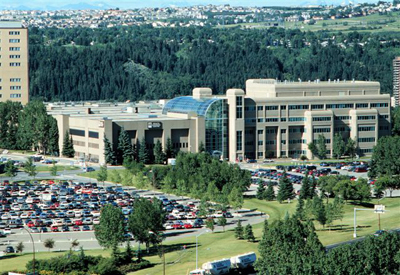 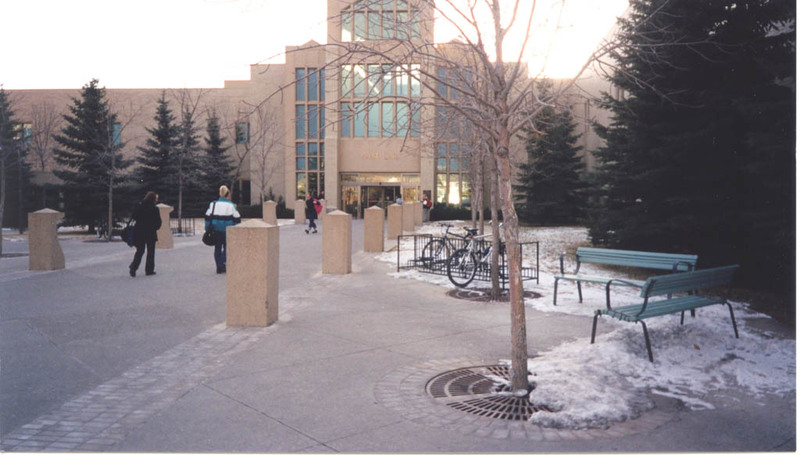 Basic Campus Map Of Mount Royal College. 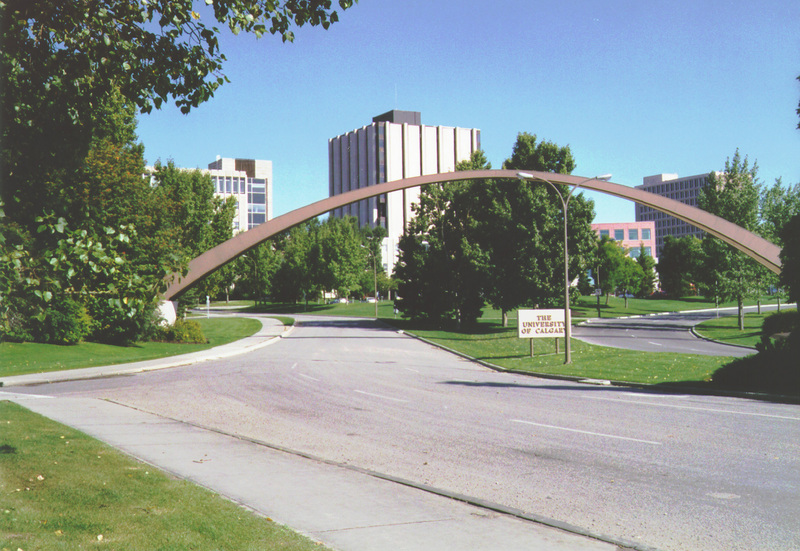 overhead Arch at the entry point. 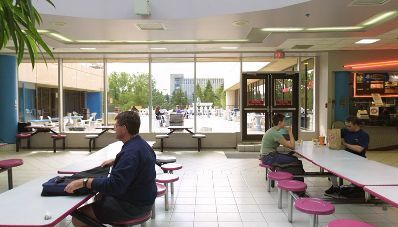 Seating space in MacEwan Hall between restaurants. 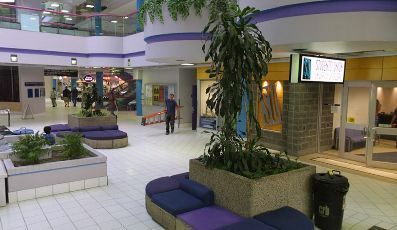 Student services section of MacEwan Hall. 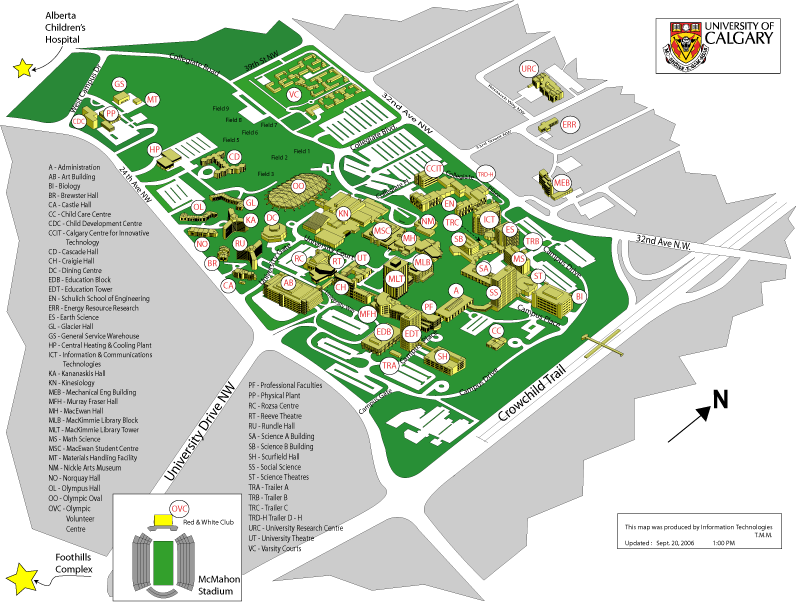 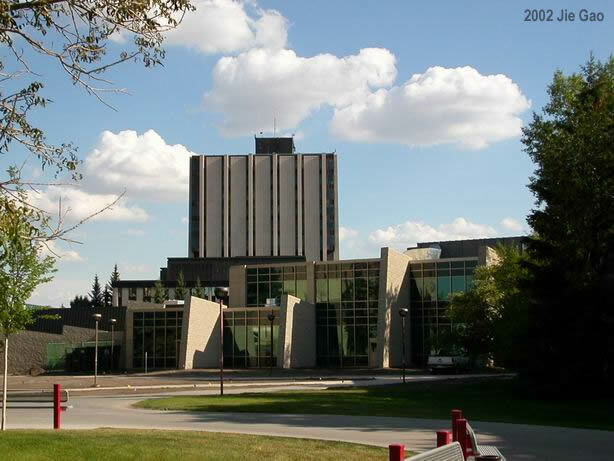 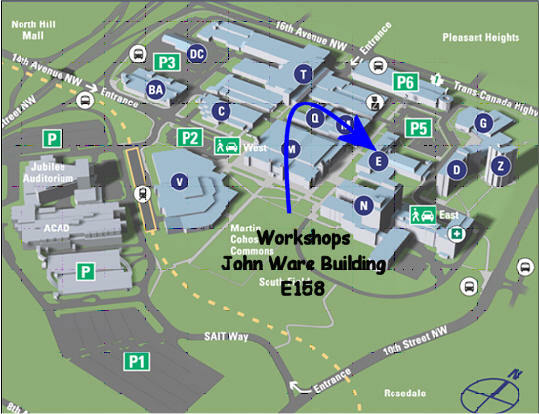 Basic University of Calgary campus map. 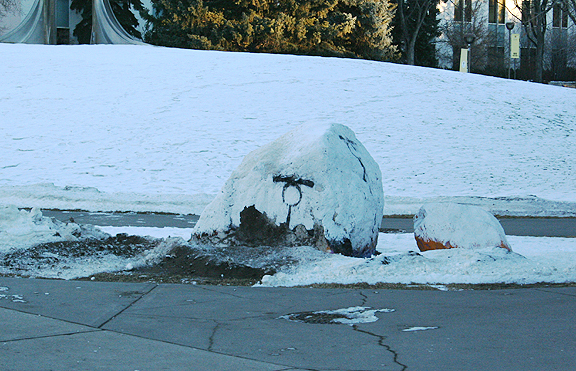 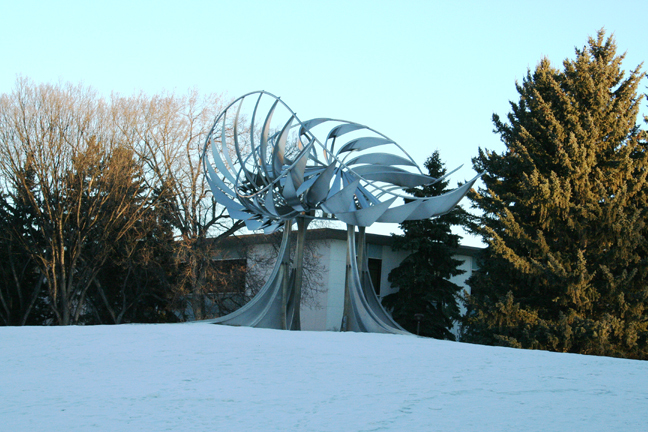 Funky skeletal crab like monument on campus. 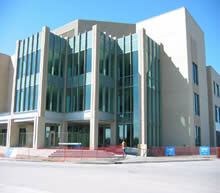 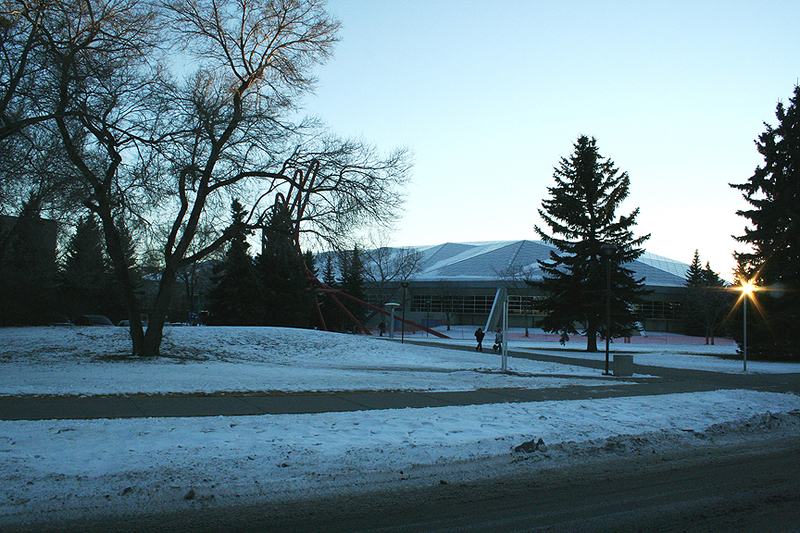 The Physical Education (Kinsiology) Dept of the University and entryway to the Olympic Oval. 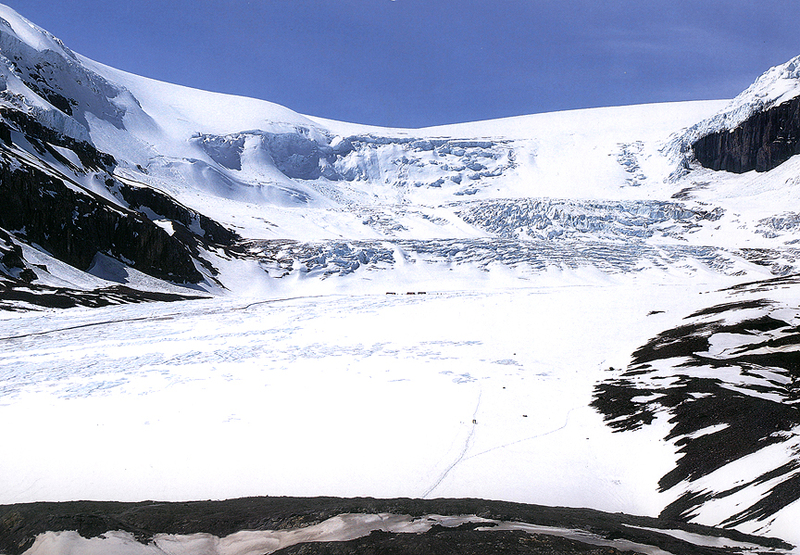 Athabascan Glacier fields near Banff, Alberta. 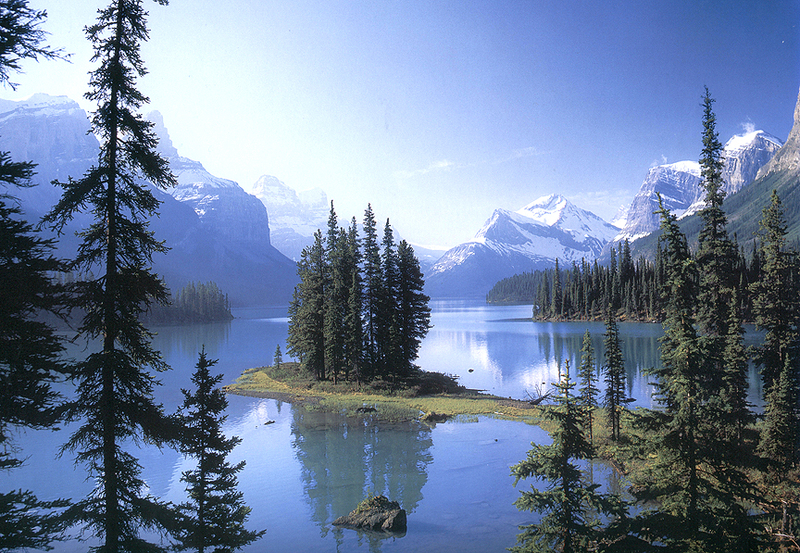 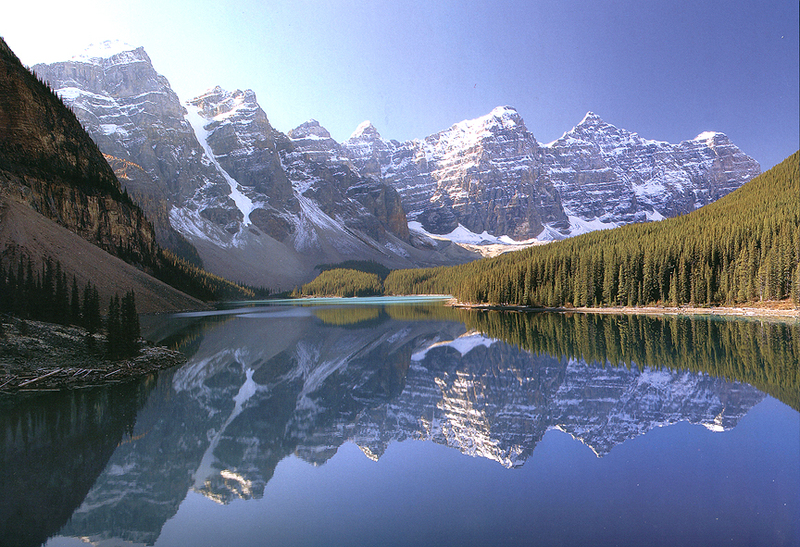 Mountains and lakes near Banff, Alberta.